3 Ways to Auto Close Apps on Android, Should You Do It? 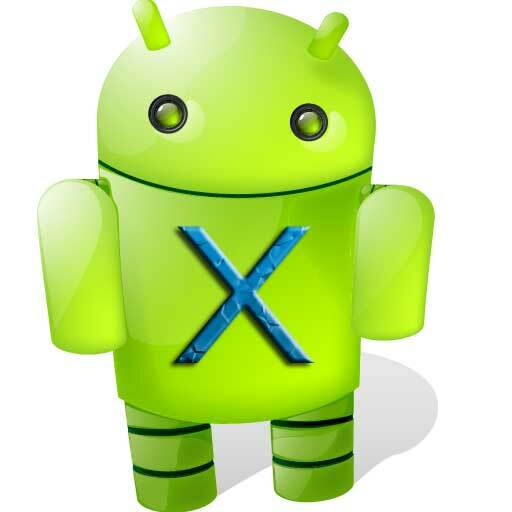 If you’re a regular android user then you must be familiar with a lot of task killer apps which promises to boost the speed and performance of your android devices but are you sure that they really do what they say ? Let’s find out what they actually are and are they really useful. What is a Task Killer? A task killer is an app by the help of which you can also force other apps and background processes to quit automatically, the so called hope being that the lesser number of apps you have running in the background, the faster your Android’s performance and battery life will be. Not everyone agrees with this promise, though. The debate about whether task killers really do their job rages all over the web from a long time. 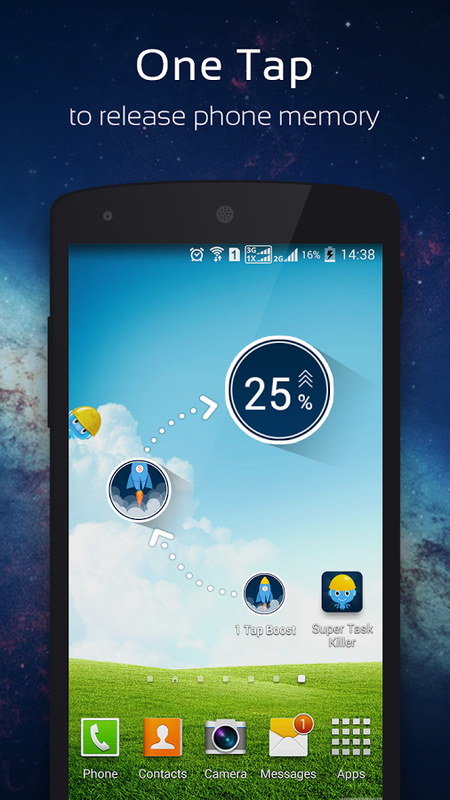 Zapper is the best task killer app for Android. The design of the app clearly shows the innovative work of app developers behind it. The quality & layout design of the application is very attractive for users, particularly the round percentage rings showing for memory and CPU usage. The app records all the running applications in a reasonable and simple to monitor list. Almost zero lag while killing applications. Real-time data charts are shown. 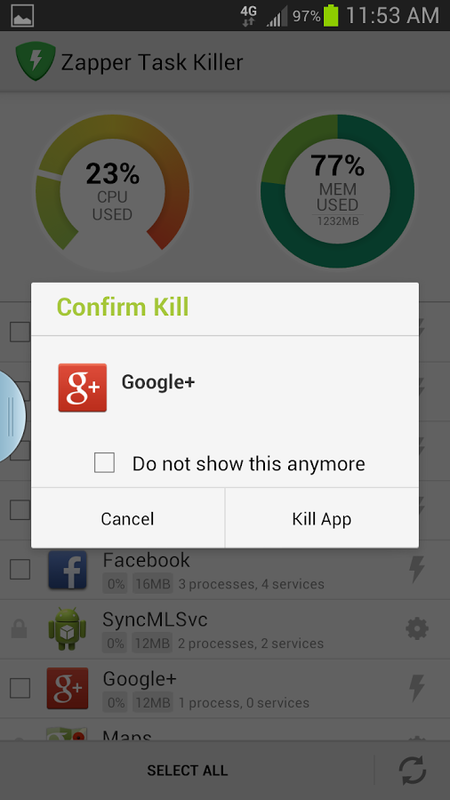 One click to kill app is easy and time saving. Recommended: What Does RAM and ROM means on your Smartphone and How does it Matter? 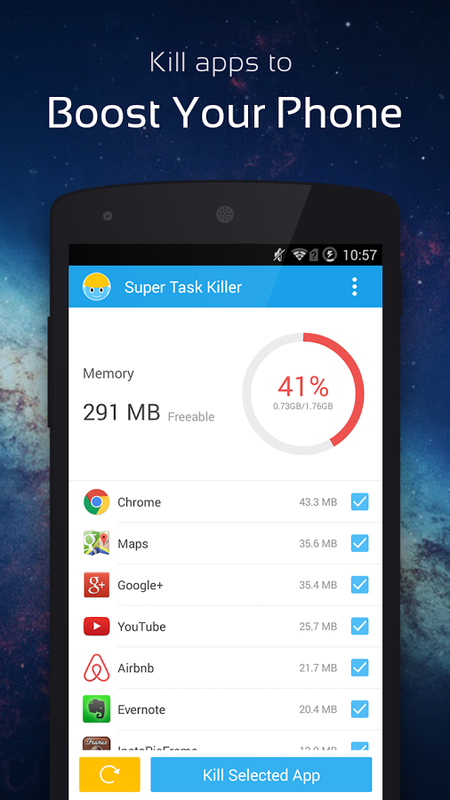 Go Cleaner & Task Manager is the nice app killer for Android when it comes to design. The app has a very clean and beautiful user interface which has no match in quality. Want to free the whole cache memory space? You will find a one click button for that. What if you want to kill an specific app running in the background? All of them will be listed in the app in a well-managed way. One click to kill app buttons are here. Clean cache memory to speed up the smartphone performance. Clear the .apk files to free more space. The Super Task Killer app not only kills other apps and tasks which are eating up your system resources but it itself uses very little power to run. This app is very simple, just like every other app in this list but it is also amazingly fast. One tap & boom, all the annoying apps are gone. 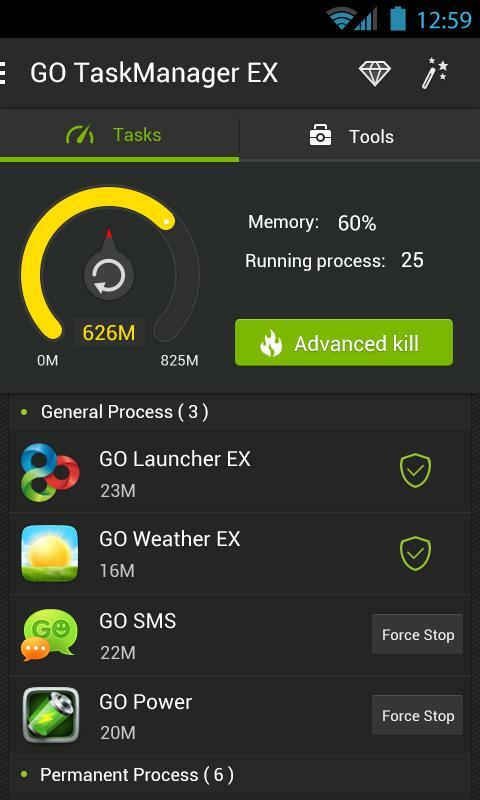 The app also shows you exactly which apps were killed and how much memory space has been freed and now available for other apps. One click task killer is a time saver. 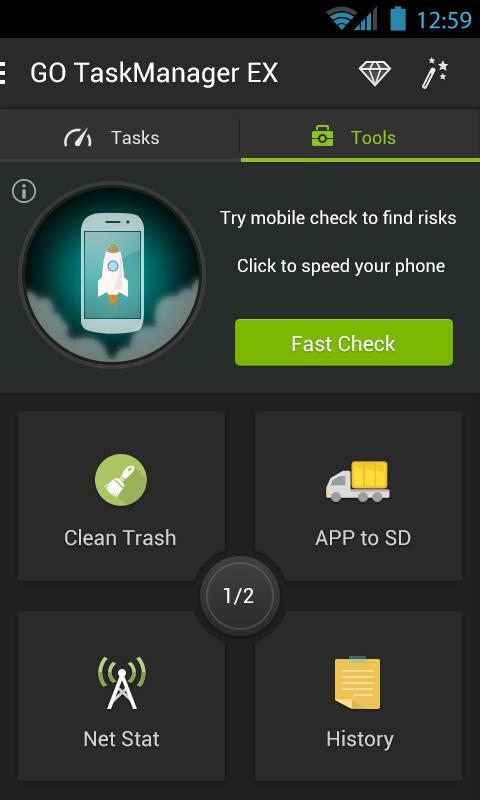 Do you really need a Task Killer app for your android device? In many cases a task killer app will just slow down your smartphone. It additionally depletes your battery life quicker. An task killer is basically useless, in light of the fact that it chips away at the myth that freeing memory makes your gadget run speedier, which is not the situation by any stretch of the imagination. Whatever it does is given you a choice to kill a app running in background or process you’re not using as of now. We do suggest you that instead of killing all background apps and processes, just try to find out those which are actually causing the problems. If you really know what you’re doing, you may benefit from using a task killer to get rid off the one or two laggy-but-loved apps on your smartphone. Why Automatic Task Killing is not a Good Idea at all ! The issue with automatic task killing is that it doesn’t give any advantage. The Android OS framework knows how to oversee memory resources. It consequently loads tasks/processes into memory and empties them as needed automatically. Android will endeavor to dependably use however much of your gadget’s memory as could reasonably be expected, and this is something to be thankful for: free memory is useless memory. Try not to be concerned if your gadget does not indicate much free memory accessible. In the event that the app you are utilizing requires more memory, other (hidden processes/background tasks) applications will naturally be expelled from memory. Using a automatic task killer apps made sense when Android was a new OS and wasn’t tuned to adapt and give best performance automatically. 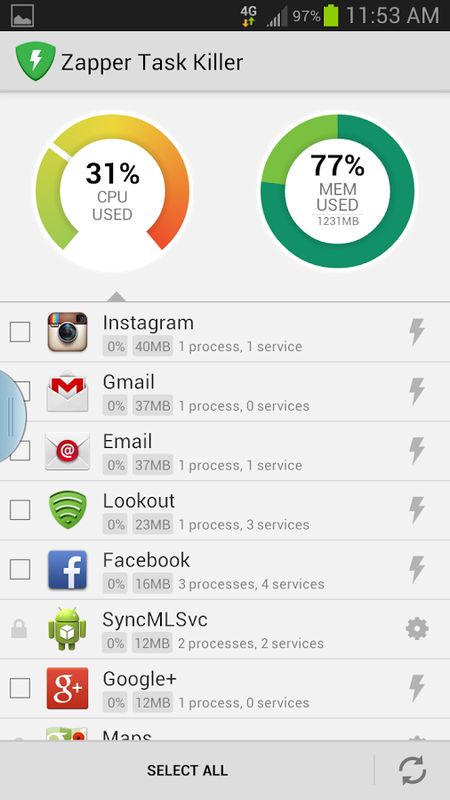 Now, the Android OS is smart enough for managing device memory resources on its own. So what are your views on these apps?